In Mackenzie v Alcoa Manufacturing (GB) Ltd  EWHC 149 (QB) Mr Justice Garnham overturned a judgment in favour of a defendant. The defendant’s failure to produce key documents, or give any explanation for their not being available, was a major factor in the decision to overturn the judgment at trial. 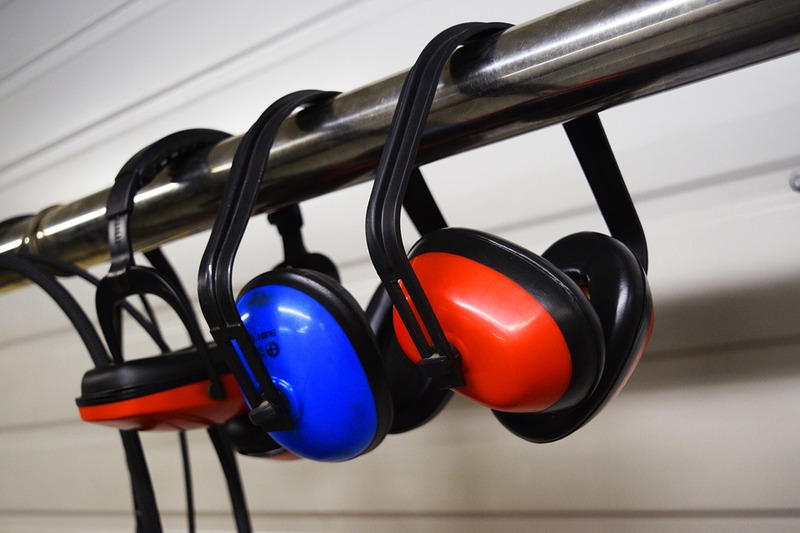 The claimant brought an action for hearing loss caused in the course of his employment with the defendant. The action failed at trial. The claimant appealed. The claimant’s appeal was successful, primarily because of the defendant’s failure to disclose any noise surveys. There was an obligation on the defendants to undertake noise surveys. In Keefe v Isle of Man Steam Packet Company  EWCA Civ 683 it was held that the absence of documents that the defendant should have produced meant the court should view the “claimant’s evidence benevolently and the defendant’s evidence critically“. On appeal it was held that the absence of documentation from the defendant was a key factor that the trial judge had not addressed properly. It was necessary for the judge first to determine when, if at all, the duty to carry out a noise survey first arose, and then to consider the evidence of breach. The Judge said at paragraph 33 that “The duty to carry out noise surveys is said to arise by reason of the Code of Practice issued in 1972.” I confess that that is not my reading of the pleadings. They allege breach of statutory duty and negligence throughout the period of the claimant’s employment at the second defendant’s premises. The particulars of negligence and breach of statutory duty include a failure to make “a noise assessment…at all”, a failure “to investigate and take advice on the noise level in the said premise” and a failure “to monitor the noise level at the premises properly, sufficiently, frequently or at all…”. Although not crystal clear, in my judgment, the better view is that, taken together, those allegations incorporate a case that there was a failure to conduct a noise survey as required by “Noise and the Worker”. In my judgment, Mr Johnson’s concession that, given the terms of “Noise and the Worker”, he could not maintain an argument that the defendants were under a duty to conduct a noise assessment between 1963 and 1968 was properly made. Although this was not a point expressly addressed by the Judge, in my view it is a complete answer to the appeal in respect of the period until publication of the second edition of the document in 1968. As the expert evidence before the Judge made clear, however, in 1968 the advice changed. From that date, the advice from the Ministry of Labour was that the answer to the question “Have you got a noise problem?” would be “yes”, if just one of the suggested questions was answered in the affirmative. On that basis, Mr Johnson said that the duty to conduct a noise survey arose no later than 1968. The position became clearer still in 1973 with the publication by the Government of a code of practice entitled “Hearing and Noise in Industry”. As noted by Lord Dyson (at ) in Baker v Quantum Clothing Group Limited  UKSC 17, that Code followed publication in March 1970 of pioneering work on deafness in industry by Professor Burns and Dr Robinson. In my judgment, on the evidence before the Judge, it could not be said there was a duty to conduct noise surveys at the second defendants’ premises before 1968 but there was such a duty after 1972. Plainly, the duty to consider conducting a noise survey did not arise instantly upon publication of the 1968 edition. Had the defendants applied their minds to the issue and appreciated that the first point under “Have you a noise problem?” should be answered in the affirmative, they ought to have considered the next paragraph of the publication and sought to obtain specialist advice. That advice, in all probability, would have included the need to conduct a noise survey. Before concluding that there was an operative duty on the defendants to conduct such a survey, however, some allowance has to be made for the time it would take for a reasonably prudent employer to appreciate the effect of the 1968 edition, to identify appropriate specialist advice, to commission that advice and to receive and act upon the resulting report. In Baker v Quantum Clothing, a period of two years was recognised as reasonable for such a process. I see no grounds for a judge taking a different approach and, in those circumstances, I would hold that the Judge ought to have concluded that the defendant was under a duty to conduct noise surveys from 1970. No evidence of any noise survey relating to the site of the claimant’s employment was disclosed at the trial. No evidence was adduced from the defendants to explain the absence of such surveys. The claimant contends, relying on British Railways Board and Herrington  AC 877, that if a defendant fails to call witness available to him who could have evidence related to an issue in the case, the defendant runs the risk of adverse findings. The facts of Herrington are well known. The defendant owned an electrified railway line which was fenced off from a meadow where children played. In 1965, the fence had been in a dilapidated condition for several months. The defendant’s station master was notified that children had been seen on the line but the fence was not repaired. On 7 June 1965, the plaintiff, then aged six, trespassed over the broken fence from the meadow where he had been playing and was injured on the live rail. He brought an action claiming damages for negligence. “The appellants, who are a public corporation, elected to call no witnesses, thus depriving the court of any positive evidence as to whether the condition of the fence and the adjacent terrain had been noticed by any particular servant of theirs or as to what he or any other of their servants either thought or did about it. This is a legitimate tactical move under our adversarial system of litigation. But a defendant who adopts it cannot complain if the court draws from the facts which have been disclosed all reasonable inferences as to what are the facts which the defendant has chosen to withhold. In my judgment, the present case is plainly distinguishable on its facts from Herrington. First, Herrington was a case where the court was considering near contemporaneous events, whereas in the present case the Judge was considering events of some antiquity. The absence of evidence of noise surveys was more obviously explainable, given the passage of time, then was the absence of the failure to repair the fence in Herrington. Second, in Herrington, the House of Lords took judicial notice of the fact that railway lines were regularly controlled by linesman and ‘gangers’ and that they would have been able to see the danger created by the broken fence. Here, whilst it can properly be concluded that noise surveys should have been carried out by 1970, it cannot, without more, be concluded what these noise surveys would have revealed. In any event, it appears from the judgment below that Herrington was not the focus of Mr Johnson’s argument before HHJ Vosper. Instead, he directed the Court’s attention primarily to Keefe v The Isle of Man Steam Packet Company  EWCA Civ 683. As the Judge noted at paragraph 28, the claimant in Keefe claimed damages for hearing loss caused, he said, by the noise to which he had been exposed when working in the galley of the defendant’s ship. There was no engineering evidence as to the noise level in the ships in which Mr Keefe served, during his 20-year period of employment with the defendants. There was no evidence that the defendants took any measurement of noise levels in their ships and the Judge found that they did not do so. They were, nonetheless, aware of noise problems in that they provided ear protectors for employees in the engine room and, for a time, to employees working with the cars embarking or disembarking the ship. The Judge at first instance found for the defendant because Mr Keefe had failed to discharge the burden of proving he was exposed to excessive noise. “18 If matters had rested there, it might have been difficult for this court to reverse the judge on what is, at any rate primarily, a question of fact namely whether excessive noise in the course of Mr Keefe’s employment caused his undoubted hearing loss, however unsure this court might be that the judge had reached the correct conclusion. But in the present case there is the potent additional consideration that any difficulty of proof for the claimant has been caused by the defendant’s breach of duty in failing to take any measurements. The judge does not appear to have given any weight to this important factor. Indeed, his whole judgment on the question of breach of duty is something of a puzzle. In para 2.4 he isolates the issue whether the defendants were in breach of duty. In para 4.4 he makes what is apparently a clear finding of breach of duty in that they failed to measure noise levels at most locations on board ship. But in para 6.3 he says that breach of duty is not proved. This is, to say the least, something of a muddle on an important issue. HHJ Vosper QC distinguished Keefe on a number of grounds. First, at paragraph 33, he noted that for part of Mr Keefe’s employment The Noise at Work Regulations 1989 were in force. Second, he noted that whilst in Keefe there was positive evidence that no noise survey was carried out, here the only evidence to whether noise surveys were carried out was from the claimant who had said that “Although he would not have been involved in such surveys, he was not aware of any being carried out.” Third, he accepted a submission on behalf of the defendants that given the passage of time it was likely the relevant documentation would have been lost. Fourth, at paragraph 37, he regarded as a significant distinguishing factor the fact that unlike the judge in Keefe, he had had the benefit of expert engineering evidence to the effect that it was not possible to say whether the claimant would have been exposed to excessive noise. In my judgment, and with great respect to the Judge, none of those factors constitute good grounds for distinguishing Keefe. It is true that the 1989 Regulations were applicable in Keefe but not here. But that was simply the source of the obligation to conduct noise surveys. The fact that the source of the duty in the present case is different, namely the publication of “Noise and the Worker” and the 1972 Code of Practice, says nothing about the applicability of the principle in Keefe. Second, as to the point about noise surveys, there is little between the cases. In Keefe, there was a finding that no noise surveys had been carried out; here, there was some evidence to similar effect but that was limited to the claimant’s recollection. Third, whilst it might be reasonable here to accept that the passage of time might explain the absence of some noise survey reports, it remains surprising that none at all were produced, despite the development of relevant regulatory requirements during the ensuing period. The point upon which it appears the Judge placed greatest stress was the fourth distinguishing feature, namely the existence in the present case of engineering evidence. Certainly, when engineering evidence is produced which provides positive evidence as to the level of noise to which workers were in fact exposed at the relevant time and the relevant premises, that is likely to mean the absence of noise surveys is of little significance. But where, as here, the engineering evidence serves simply to explain why it was not possible now to establish to what level of noise workers would have been exposed, that does not make the absence of noise surveys irrelevant. To the contrary, it serves to underline the significance of the absence of such surveys. In my judgment, it follows that the judge was wrong to distinguish Keefe. The dicta in that case did apply. From 1970 the defendant should have been obtaining noise surveys. None were produced at trial. No evidence, as opposed to mere submissions, was advanced to explain why no noise survey could be produced. In the circumstances, applying Keefe, it does not lie in the defendant’s mouth to say that noise levels were not excessive. The consequence of the Judge’s rejection of the application of Keefe, is that he did not give the claimant’s evidence the beneficial interpretation which Keefe called for. Had he given such an interpretation, it seems to me inevitable that he would have concluded that the likelihood was that the claimant was exposed to tortiously high levels of noise. A benevolent interpretation of the claimant’s evidence would have involved accepting that the “entire process” in the foundry or strip mill was noisy, that the extrusion mill was noisier still, that the claimant was required to work on machinery whilst the line continued and other blowers and cutting machines were still working, that he was never more than a few feet from operating machinery, that he was exposed to noise throughout his working day, that he had to shout or to use hand signals to express himself and that he was provided with no formal protection and given no warning. Against that the Judge would have had to consider the evidence of the joint expert which was that, on occasions at least, the noise level would reach or exceeded 90dBA and that the expert evidence was unable to disprove that this could not have been the cause of his hearing loss. Mr Johnson had argued at trial that, for peripatetic workers, the duty from 1972 was to avoid any exposure at or exceeding 90dB(A). That, it was argued, was to be contrasted with the pre-1972 duty to avoid exposure which exceeded an average dose of 90 dB(A), (lepd). That argument had featured prominently at the hearing, being referred to in both parties’ skeleton arguments and closing arguments. For reasons that are not apparent, that argument was not addressed at all in the judgment. In fact, there is no acknowledgment that the argument was even advanced. By Ground 4, the claimant seeks to challenge the Judge’s failure to address the argument. In support of that argument, Mr Johnson relies on the judgment of Lord Phillips MR in English v Emery Reimbold  EWCA Civ 605. Mr Limb acknowledges that the Judge did not expressly consider the point but argues that his conclusion in , which I have set out above, that it is unlikely that the appellant was exposed to noise above 90dB(A), was a finding of fact that disposed of the point. He says the finding at  (also set out above), that it was unlikely he was regularly exposed to noise above 90dB(A), implicitly accepts the possibility that on occasion the claimant was exposed to places of work where noise levels were over 90dB(A). But, says Mr Limb, a level is not the same thing as a dose. In my judgment, the claimant is right in his contention that the Judge ought expressly to have addressed this issue and given his reasons for rejecting it, if reject it he did. In light, in particular, of the discrete arguments that had been advanced on this issue, it was incumbent on the Judge to explain why he was rejecting the claimant’s arguments or why he preferred the defendants. In those circumstances, I find for the Claimant on Grounds 1, 2, 3 and 4. In the draft judgment sent to counsel for typographical correction, I indicated a provisional view that the case should be remitted to the county court for resolution of the issue raised in Ground 5. I sought further submissions on that issue. I received helpful written submissions from both parties. Neither party supported the approach I had said I was minded to adopt; the claimant indicated that a ruling on ground 5 was not necessary in the light of my decision on grounds 1-3; the defendants indicated that such remission was inappropriate and that they would be seeking permission of the Court of Appeal to appeal my decision. In those circumstances, since my conclusions on grounds 1-4 is sufficient to ground a conclusion that this appeal should be allowed, that is the order I make.